Assisting People In Wheelchairs can be a very selfless act that a person may do. Not only are you helping them across an emotional or physical obstacle, but you yourself feel good about it in a profound way. Sometimes people in wheelchairs require assistance transferring out of the chair and reaching higher surfaces they cannot. It can be a great act of kindness to assist people in wheelchairs, but it can also be compromising to your health. The act of assisting people in wheelchairs has been associated with musculoskeletal injuries within certain parties in the disability industry. 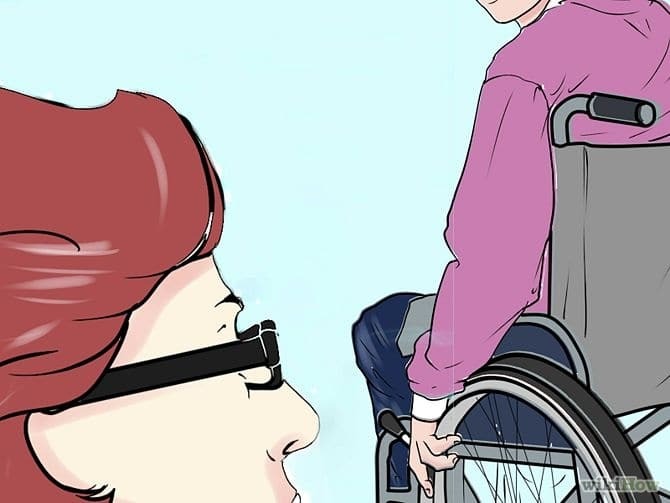 What are the risks of assisting a person on a wheelchair? some of the risks include back injury, neck and shoulder injury, and wrist injury as well. 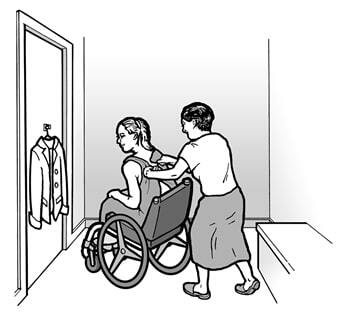 The general actions associated with helping someone on a chair are pushing the user, pulling the user back by pulling the caregiver handlebars, and exerting maximum force to push or pull the individual. Sometimes the equipment the person is using is too heavy to be carried or transferred. There are ways to improve and perfect the way we assist people in wheelchairs. There should be more attention paid to public devices that allow people to help wheelchair users while avoiding injury altogether. There should be a system in place that allows a regulatory body to inspect and review the workplace or public space and evaluate whether changes need to be made. Individuals needs should a priority when inspection and review of the area is completed. This would mean that the regulator should be educated in the way that wheelchair users travel in that environment. If changes need to be made to the current set up of the space, referring to how accessible and how independent the space is to wheelchair users. Fixing any safety issues as soon as they are found is a great way of preventing injury to any individual. Procedures should be developed to identify the safest movement of the chair. A reason why someone aiding a wheelchair user might get injured is because the wheelchair they are lifting or pushing is not well maintained or very heavy in weight. Other instances may involve a power wheelchair user who forgot to charge his battery. This would mean that the 100+ pound piece of equipment would need to be moved manually without the assistance of the battery it requires to work. Sometimes a wheelchair user may require you to push them for a long period of time by using your arms to propel them forward. This can cause a lot of stress on your shoulders and wrists and decrease the chance of avoiding injury.